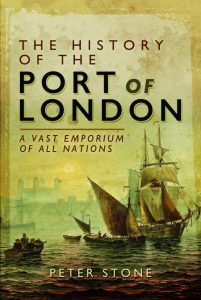 When shipbuilder Captain Thomas Coram returned from America he was horrified by the poverty of London. Many young children were living rough on the streets, often surviving through begging or by petty-crime. Parents often had no choice but to abandon new-born babies because they were so poor they were unable to afford basic food, clothing and shelter for the child. An unmarried working woman who gave birth would most likely be cast out from her employment and both she and the baby stigmatized for the remainder of their lives. Around a thousand babies were abandoned each year in London. Born in Lyme Regis in Dorset in 1668 Coram’s formal education was limited. He went to sea at the age of eleven and was apprenticed to a London shipwright at sixteen. He was commissioned to buy oak for the navy during the wars against France during the 1690s and then moved to Boston, Massachusetts, intending to set up a shipyard. Coram moved back to England in 1715 with his new wife and by 1720 was semi-retired, living in the shipping hamlet of Rotherhithe on the south bank of the Thames between Southwark and Deptford. He would travel into the City from Rotherhithe on business, passing the dead bodies of babies abandoned on the roadside overnight or children dying on the streets in and around one of the wealthiest conurbations in the world. In theory such children were the responsibility of the parish of their mother but first she had to be found and proven she was a long-term resident, which in London, with so many people arriving from around the country, was not necessarily the case. Most parishes had limited funds, gained from the Poor Rate, a levy that was resented by most parishioners, many of whom believed it only encouraged paupers to be lazy and women in wantonness and prostitution. Those children who were taken in had to endure an upbringing in the parish poor-house or, after 1722, workhouses where they were often harshly treated. Ninety percent of children born in London and kept in workhouses died before they were five. Yet there were provisions for abandoned babies in a number of the other main cities of Europe, including the Hôpital des Enfans-Trouvés in Paris since 1670. Christ’s Hospital in London had taken in genuine orphans since Tudor times but illegitimate children were frowned upon. By 1722 Coram had formed an idea to create a hospice, or ‘hospital’, where such children – ‘foundlings’ – could be housed and educated. To establish such a non-profit making, independent and secular institution required finance. However Coram – pugnacious, poorly spoken, and rather rough in character – was not the type who could easily mix with nobility and the higher levels of society so was initially unable to persuade anyone of any wealth to fund the venture. Those he approached had the opinion that to take in unwanted and illegitimate children would only further encourage women in ‘”wickedness”. He was, however, an energetic man who persevered in the face of adversity. After many years of campaigning the tide began to turn when Queen Caroline, wife of George II, became interested in the Hospital for Foundlings in Paris. Another factor was that the population of the country had declined, in contrast to those of France and Spain, and there was a growing feeling that the poor could somehow be used more profitably for the benefit of the nation, particularly in the armed forces. These things legitimized the idea of a hospital, opening the door for Coram to approach fashionable and aristocratic ladies who were sure to follow the thinking of the Queen. A break-through came in 1729 when the Duchess of Somerset took an interest. Coram began creating petitions to the King. First came a ‘Ladies Petition’ of friends and relatives of the Duchess. From 1734 he began to persuade noblemen, gentleman, justices of the peace, professionals and merchants to add their support. Already in his seventies but still without financial backing he spent his time walking around London, covering up to twelve miles each day to visit anyone of wealth and respectability. Coram argued that it was better to raise children to take up a respectable life of labour rather than leave them to drift into one of begging on the streets and thieving. Finally, in October 1739 the King signed a royal charter for the “Education and Maintenance of Exposed and Deserted Young Children”. Coram drew up a list of three hundred and seventy-five potential governors, from which was formed a large Board of influential and wealthy individuals that included the Archbishop of Canterbury and Bishop of London, thus ensuring both financial support and powerful influence. In November one hundred and seventy governors attended a ceremony at Somerset House when Coram officially handed the charter to the Duke of Bedford, the hospital’s first president. A week after the ceremony a General Committee, including Sir Hans Sloane and the Speaker of the House of Commons, met at the Crown and Anchor tavern in the Strand to discuss plans. The first tasks they set themselves were to investigate the organization of similar hospitals abroad, to raise funds, and to find a building. William Hogarth created a letterhead for an official fund-raising letter and donations began to arrive, including one hundred and twenty pounds from Hogarth himself. At a further meeting the following year it was agreed that sixty children be taken into care at the earliest time. While the governors planned the hospital a temporary house was leased at Hatton Garden, nurses and cooks hired, and all the necessary furniture and provisions purchased. A shield was painted by Hogarth and hung over the door. A notice was issued that any parent was able to deposit a child on the evening of 25th March 1741, without any questions asked, in order that mothers could remain anonymous. Coram, Hogarth and two other governors were there to watch over proceedings. A large crowd of women arrived with babes in arms and each child was inspected by the hospital’s doctor. The process took four hours, until by midnight all available places were taken and the mothers sent away, many leaving a small message or token to stay with the child, which still remain with the hospital today. The capacity of the original building was just thirty children. One of the governors had to explain to those mothers who were unsuccessful that more would be accepted as soon as places became available and begged them not to abandon the children. Unfortunately it was already too late to save some of the undernourished babies and two died within the first three days. Each baby who was admitted and survived was baptized and named after one of the benefactors, with the first two given the names Thomas and Eunice Coram after the captain and his wife. Others were named after benefactors of the hospital.